Tiwa Savage has just shown how shocked she is after she heard that her song ‘Tiwa’s Vibe’ was banned all because she used the word ‘Shayo’. She took to her instagram to express her displeasure with the Nigerian Broadcasing Commission (NBC) after her latest track, Tiwa’s Vibe was banned from being played on local radio stations, the song was banned because it had elements of “Alcohol” in it, and she repetedly mentioned the word, “Shayo”. Nigerian super star, Wizkid arrives Ghana and he is warmly welcomed by his fans over there as he sis spotted taking a photo with then. Royal couple, Prince Harry and Duchess Meghan arrive Buckingham Palace for Queen Elizabeth’s 92nd birthday as respected guests and dignitaries turn up in their numbers. The buzz about the Royal Wedding between Prince Harry and Meghan Markle which took place some months ago is still not over yet as it’s still the most talked about topic. Recently married singer, Mocheddah, who tied the knot with her longtime boyfriend, Prince Bukunyi few days ago, has just make a shocking post revealing she suffered clinical depression for over 4 years. The singer disclosed that she was scared to speak up at first over fears of being labelled crazy, but she did and has been on therapy for two years now. According to a trending report online, a suspected witch disguised as a cat met its end in the early hours of this morning. A magistrate’s court sitting in Ilorin, Kwara State, has been told how a clergy and founder of St. Moses Orimolade Cherubim and Seraphim Church, Gabriel Josiah, allegedly exhumed over 200 human skulls from Muslim Cemetery at Osere area of the state capital within seven years. Some years ago, celebrity stylist, Jeremiah Ogbodo AKA Swanky Jerry and Nollywood actress, Tonto Dikeh were best of friends. They were that close that they attended social activities together and even went on vacations. An Ebonyi state pastor who recently converted from Christianity to Islam as revealed in a now viral video how Allah visited him, prompting his decision to convert to Islam. During an islamic function, the said man who has background with Top Government official revealed that he is not in Islam for the money as he is from a rich background. 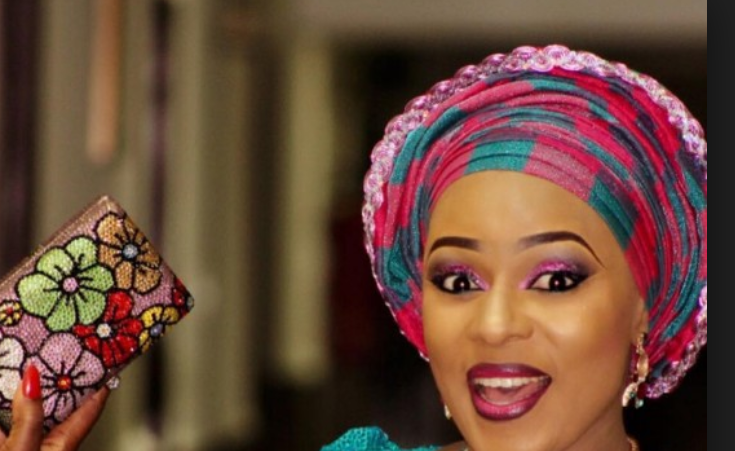 Nollywood actress, Bose Alao who ended her ten years marriage to Nigerian footballer Rasaq Omotoyosi over domestic violence, has now tendered an apology to him. Nollywood producer and actor, Tchidi Chikere and his wife, actress, Nuella Njubigbo held their white wedding in Lagos today. The wedding ceremony between Tchidi Chikere and Nuella Njubigbo took place at Catholic Church of Transfiguration, VGC, Lagos. See this story of a 70 year old woman who just won N1m. A twitter user witnessed the whole event and shared it on his timeline. Teddy A was so overjoyed as he is made the ‘Tope Adenibuyan Asojuomo of Iyere Owo’ by the Kabiyesi Oliyere of Iyere Owo, its really a big move and an achievement for the young singer. After sharing some barbie-looking photos to mark her birthday celebration, actress Tonto Dikeh has taken all her friends out for a breakfast treat. The actress who took to her instagram to pen down some encouraging words to her self on her birthday seems to be kicking off her birthday in an intriguing way. Only a few artistes in the Nigerian entertainment industry can beat their chest and single a colleague out as their ‘bestie’. Jim Iyke has explained why his relationship with Timaya has continued all these years, and how he became a brother he never had in a new interview with Saturday Beats. The BBNaija product turn actress was spotted with Comedian Ay, Alex Ekubo, Iyabo Ojo, Toyin Lawani at the Premiere Of Ghetto Bred. to all the three counts levelled against him. He claimed that one of his friends, Godwin, who he lent some money to paid him back with fake currencies. However, he later changed his plea from "guilty" to "not guilty". One noticeable feature of popular Nollywood actor, Afeez Abiodun popularly known as Afeez Owo are the tribal marks on his face. Linda Ikeji is finally set to move out of her N450million Banana Island mansion. According to Punch, Oluwabunmi is married to Femi's dad who is a pastor in Oyo state. 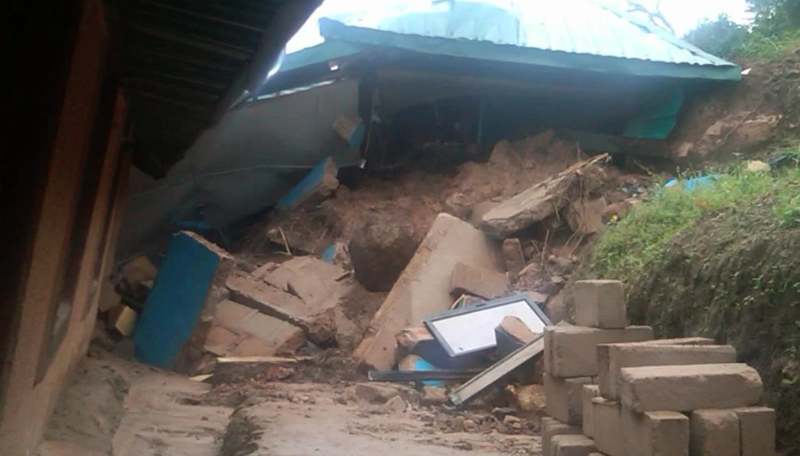 No fewer than three people have been killed, while seven others were injured following the collapse of a two-storey Islamiyya school building under construction at Unguwan Kaya, in Zaria, Kaduna State. NAN eports that the incident occurred on Friday while construction work was ongoing at the building. Anthony Bourdain, celebrated gifted storyteller and popular writer who took CNN viewers around the world in his series has committed suicide. He is aged 61. His death happened days after fashion designer, Kate Spade hanged herself in an apparent suicide at her Manhattan apartment on Tuesday. The actress and mum of one, Tonto Dikeh, turned 33 on June 8th, she had a photoshoot to celebrate her birthday and she shared some of the beautiful photos on her Instagram page. She also shared on her journey in life and some of the lessons she has learnt. Paul Okoye, of the former singing group, PSquare has also aired his displeasure about SARS officials. The singer & record label owner took to the gram to share a message criticizing the present government. Nigerian actress and entrepreneur, Liz Da Silva has shared her reason for not granting interviews. The role interpreter noted that most broken relationships or marriages start from the pages of newspapers. A man from Goho Village in Plumtree burnt down his matrimonial bedroom hut after he allegedly found cond0m wrappers under the bed when he came back from a trip to Bulawayo.